Makeup can brighten up your eyes, but when applied incorrectly, it ends up enhancing fine lines, eye bags, and other things you'd rather hide. 1. Your eyeshadow isn't properly blended. Muddy and oddly-placed eyeshadow makes your lids look weird, sunken, and dirty. Always blend harsh edges to avoid this faux pas. 2. Your eyeliner is thicker on the bottom lashline than on top. The heavy line at the bottom lash line weighs your eyes down. When you want to tightline, use a well-sharpened pencil or a flat eyeshadow brush for subtle definition. 3. You use the wrong shade of concealer. TBH, the reverse panda look ain't for anyone. Picking the wrong concealer shade also ends up highlighting your eye bags. 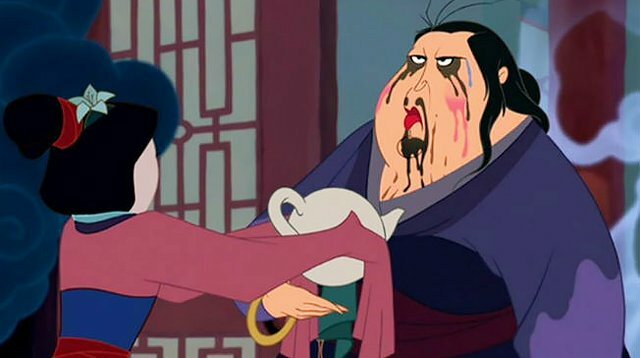 Are your dark circles feeling ~*extra*~? Banish them by dabbing a salmon-hued color correcting concealer to cancel out unwanted discoloration under your eyes. 4. You use too much powder on the under-eye area. We understand that you're scared of your concealer sliding off, but patting on tons of powder would only make the area cake and crease. What you can do is to bake it: Start by generously dusting the area with translucent powder, let it set, and then sweep off excess product. 5. You did not fill in your brows properly. Draw them too thick and you'll look old and angry, but when you neglect them, you look washed out. To get the right balance, focus on the bottom arch and brush upwards with a spoolie.